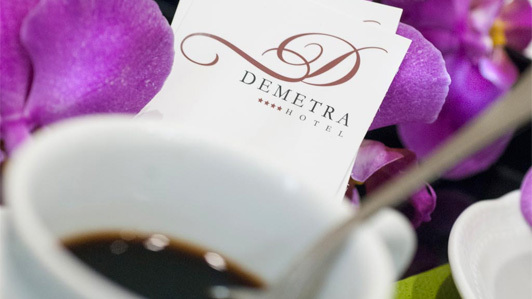 4 Stars Hotel in Rome, the Demetra is located at the city center, near its main cultural attractions. Its strategic position makes it a convenient starting point to swiftly reach numerous urban zones while at the same time being easily found by our guests. There are 4 different available ways for you to arrive to our premises. You can come by train, get off at the Termini Station and then proceed along a short trail on foot. It is just as easy in case of arrival by plane. The Leonardo Da Vinci Airport in Fiumicino counts with a railway line that takes you to destination in half an hour. The structure in Ciampino offers a similar ease with bus rides by Cotral, which get travelers to the Anagnina subway stop. Both airports are equally served by Terravision low-cost bus routes. If you travel by car, you can take the Portonaccio exit on the GRA and follow the directions to get to Via del Viminale. This Rome Hotel is the practical choice for those who wish to stay close to the local historical landmarks and expect a 4 stars service. Some of the most renowned places to visit in the vicinity of our 4 Stars venue are: the Colosseum, the Santa Maria Maggiore Cathedral, the Roman and the Baths of Diocletian. The 4 stars Hotel Center Rome, enjoys an advantageous position at the heart of the City, nearby the Termini Station to be precise. Guests may easily get to our four stars venue using public transportation, train and airplane. Even though it is located in a central district, it is possible to arrive with ease by car, for those who travel with their own means of transport. Cars and motorbikes give visitors the opportunity to choose how and when to move, besides allowing them to discover the farthest corners of the Lazio Region, small surrounding villages and hidden natural landscapes. Whoever wishes to wander around with an automobile or a motorcycle will have the chance to benefit from a private parking space in the area that requires a fee and prior reservation. Families with children, comprising up to 4 members, traveling groups or biking enthusiasts will be able to stay at an exclusive Rome Hotel without giving up independent mobility. That's the best way to enjoy vacations by calmly discovering the local wonders, approaching 4 papal churches, museums, monuments and other landmarks of great interest the metropolitan center has to offer. Our structure puts 27 rooms, subdivided in six different types and a suite, along 4 stars services, at your complete disposal. 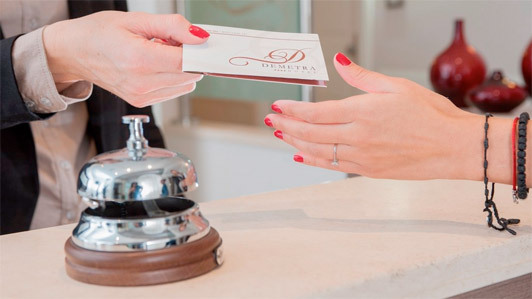 The elegant 4 stars Hotel in Rome's historic center, Demetra, is easily accessible for guestss who travel by plane thanks to a dedicated shuttle service. The Intercontinental Leonardo Da Vinci and the International G.B. Pastine airports offer comfortable means of transportation to get visitors to the Termini Station, you can reach our four stars structure on foot from there. There is a railroad terminal inside of Fiumicino airport that guarantees a trip every half an hour. You can buy train passes at the nearby tobaccoist or using the automated self-service machines. Those who land at Ciampino can take a bus by Cotral, which will get them to the A Line Anagnina subway stop. Ride lasts 40-50 minutes and the ticket can be bought on board. Low-cost bus company Terravision offers its services on both structures. You can go online to acquire tickets. 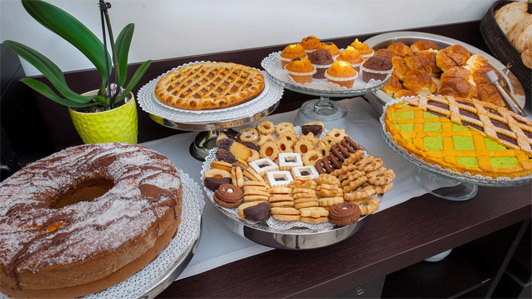 Multiple different options for you in order to quickly connect with our splendid 4 stars business Hotel in the welcoming Rome historic center. 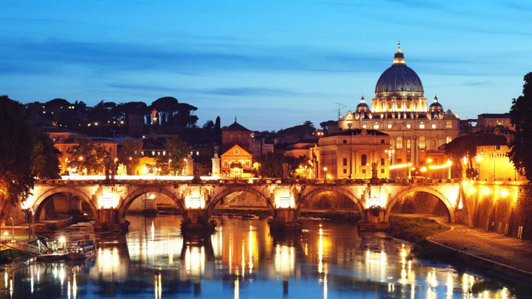 It blends modernity and elegance near cultural landmarks like the Colosseum, the Viminale, the Palace of the Republic, the Roman Forums, the National Opera Theater, the Santa Maria Maggiore Cathedral, one of 4 city papal Churches. The Demetra, 4 stars Hotel in Rome near the Viminale, provides its guests with useful information about the capital's Limited Traffic Zone. It covers a vast area, approximately 4,2 square kilometers, among the largest in Europe, created in order to safeguard its immense historical and cultural heritage, improve the overall quality of life and preserve the environment. From december 17th to 22nd, and on Christmas Eve (14/12), the ZTL is in force from 06:30 am to 08:00 pm. The ZTL is also in effect on holidays such as december 16th and 23rd, plus the 6th of january, from 02:00 pm to 06:00 pm. It is strictly forbidden for vehicles to go beyond the active barriers near the Hotel, specially those in Via Torino, to avoid incurring in fines and administrative sanctions against offenders. Click here to see the map of the ZTL with its relate access points.